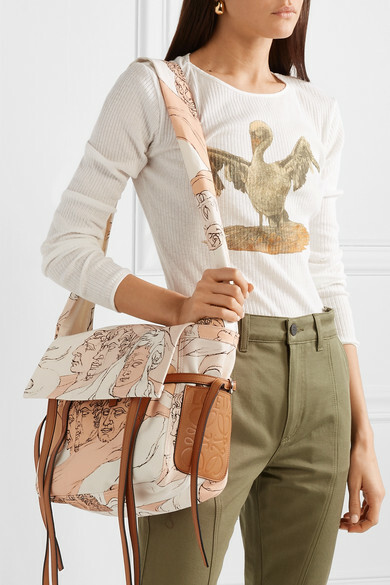 Loewe's 'Faces' shoulder bag is made from durable canvas that's printed with English artist Austin Osman Spare's abstract motifs. 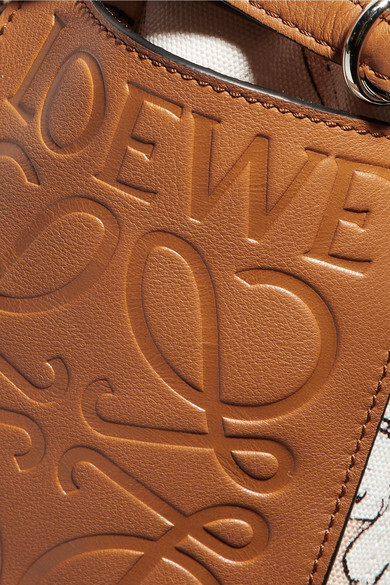 It's trimmed with leather straps and the label's signature designer-stamped grained patch. 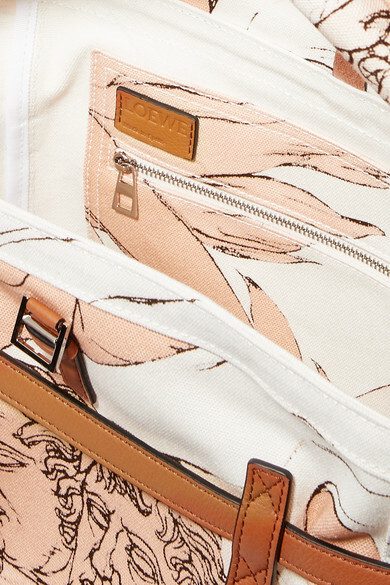 The spacious interior has enough room for a wallet, cosmetics case and tablet, and is fitted with a zipped pocket to secure smaller items. 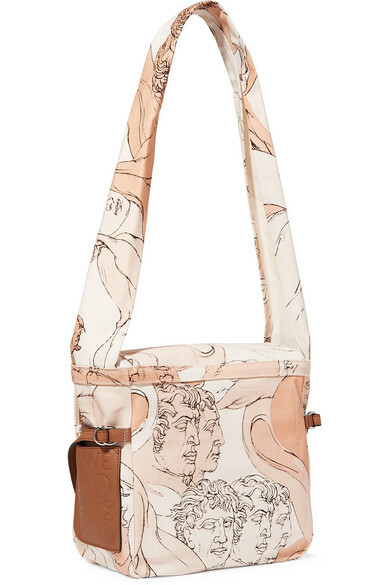 Carry it against cargo pants and the brand's graphic T-shirt. Shown here with: Loewe Pants, Mounser Earrings.